Does another company owe you or your business money? If the answer is yes, we can help. 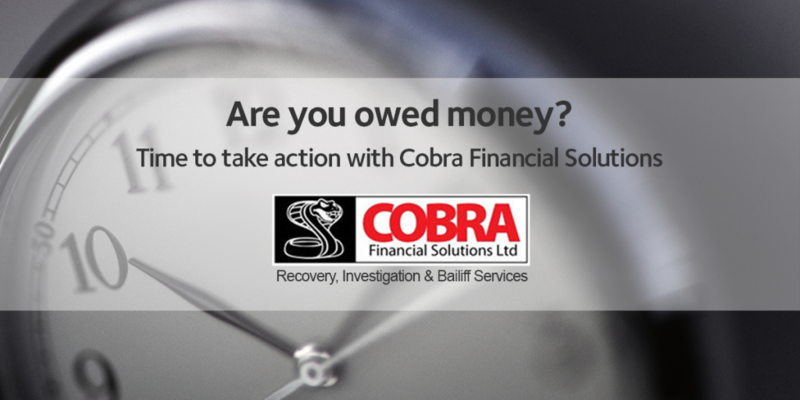 We’ve teamed up with Cobra Financial Solutions who provide professional ‘Recovery, Investigation & Baliff Services’. Simply fill out the form below and a member of the Cobra team will be in touch to discuss your situation. Don’t just accept non-payment, take action! This entry was posted in Debt recovery, Late payments and tagged chasing payments, debt recovery on October 19, 2016 by Mathew Aitken.